Pokemon Go for Real Estate – Must or Bust? If you’re anything like me, your social media newsfeeds look a little something like this: millennial major-life announcements, political news, world events and Pokémon GO! Pokémon GO, a new gaming app for iOS and Android devices, has taken over social media and day-to-day activities. Since its release on July 5th, Pokémon GO has been downloaded around 7.5 million times and has surpassed Twitter in daily active users. With all the social buzz surrounding this new app, many agents have started to question whether it could be a game changer for connecting with a new, millennial audience. While some have immediately said “no” to the idea, others are pushing this app’s usefulness in the industry. One argument is that the millennial nostalgia for the original Pokémon game released in the 1990s and the fact that many of these millennials are spending a lot of time talking about themselves on social media create an excellent opportunity for agents to connect with these potential homebuyers. If you’re already playing the game, and wondering if you should incorporate into your real estate business, I have a few examples of how you might use it to maximize your business. If you’re not familiar with Pokémon at all, no problem – I’ll show you the ropes. The popularity of this app could help boost open houses, help buyers find their dream homes in ideal locations and even build your credibility as the local expert. So what is Pokémon? Pokémon debuted in the late 1990s-early 2000s as a Japanese anime cartoon. The Pokémon monsters come in various shapes, sizes and colors, all with special abilities. The goal is to “capture” these creatures and “train” them to fight other ones. The game’s augmented reality technology is some of the best on the market, harnessing the power of Google Maps with video game technology, forcing users to physically get up, get outside and explore the world around them in search of these creatures! Ready to try it out? Here are four ways you can use Pokémon GO in your real estate business. Once you’re at the open house, send out Facebook, Twitter or SnapChat updates about the great listing location, the great stops you passed along the way and – you guessed it – Pokémon GO attractions! Maybe there are a number of Pokémon gyms or Poké Stops in the area that could entice big gamers to take a look around. Or, find out if a rare Pokémon monster was captured in the area. Whatever the case, share this information with your followers. If gamers come to the open house just for a creature they found in the backyard, ask for referrals – there’s always a way to drum up new business! As a real estate professional, you know how rewarding it is when your clients finally find their dream home. For your Pokémon GO-obsessed buyers, showing them listings in neighborhoods with great game attraction could help make the difference in a sale or seeing another listing. Even if your clients are unsure about an area or want to get to know a prospective neighborhood better, using Pokémon GO to let them explore the area can help sway them into going under contract. Local businesses are also getting on the Pokémon GO trend. Businesses here in Norfolk, Va. are catching Pokémon fever and publicizing the creatures they found in their backyard! Our zoos, aquariums, colleges and more are posting pictures as social status updates, inviting folks to come explore. Take advantage of this population boom by visiting these places and talking to the gamers! Chances are you could meet potential prospects at these places. Strike up a conversation, introduce yourself and you could either have a new friend or a potential lead. Not only could you connect with new leads, but keeping up with local happenings in your community helps to brand you as the local expert. Speaking of great community offers, if you specialize in relocation services, publicizing the great attractions in your community is a perfect way to attract potential leads and clients. Add a layer of Pokémon GO to the equation to keep everything relevant and show your audience that you’re on top of emerging trends. We all know that local market reports are not always consumer-friendly or easily digestible. Pokémon GO could help solve this. Use this trend to your advantage and make these seemingly boring reports something fun to read. Write up a mock market report, but insert Pokémon GO terms throughout. Don’t forget to mention high inventories of Poké Stops, various landscapes that attract a wide range of creatures, fun places to go for the whole family and much more. Doing so can help boost your exposure and credibility. If incorporating Pokémon GO into your social strategy seems like a stretch, you could also consider using it as team building exercise for the agents in your office or on your team. Divide into teams, go on quests together and become stronger as a unit, all while getting exercise and enjoying the great outdoors. At the same time, your agents will become even more familiar with the area, which could help them field questions from prospective buyers. How Real Estate Agents Use Pokemon Go to Sell Their Listings! I am sure you have heard the craze surrounding this new game, Pokémon Go, but before you dismiss the chatter – let me tell you how real estate agents are actually tapping into this new demographic to sell their homes. In just a short amount of time, this game has swept the globe and has more daily users than Twitter. On top of that, people are spending more time on this app in one sitting then they do all day on Instagram or Snapchat. While we know it is just a game, these numbers are worth paying attention to. Here is a great article on how you can use Pokémon GO to sell your listings! Only days into its arrival on app stores, Pokémon GO’s reach extends far and wide as users all over the world are taking to the streets to realize — in some cases — lifelong goals of capturing and training a Pokémon. As a real estate or mortgage professional, Pokémon GO can be a creative way to reach out to younger generation home buyers in your area. The resonance of the 1990s entertainment and trading card series is back through this augmented reality form, boasting projections of more daily active users than Twitter. The app hasn’t even been available for a month. People are walking, running, climbing and more to find their share of various Pokémon species. With its astonishingly rapid expansion, it’s completely overshadowed social media giants Snapchat and Instagram in time spent within the app. However, when users are on social media, posts about the new game are intertwined with or replacing day-to-day interactions. Pokémon GO is in headlines, numerous articles and spread all over the internet. Pokémon GO is everywhere, and it’s still growing. And, businesses, too, are finding their niche within the virtually integrated world. 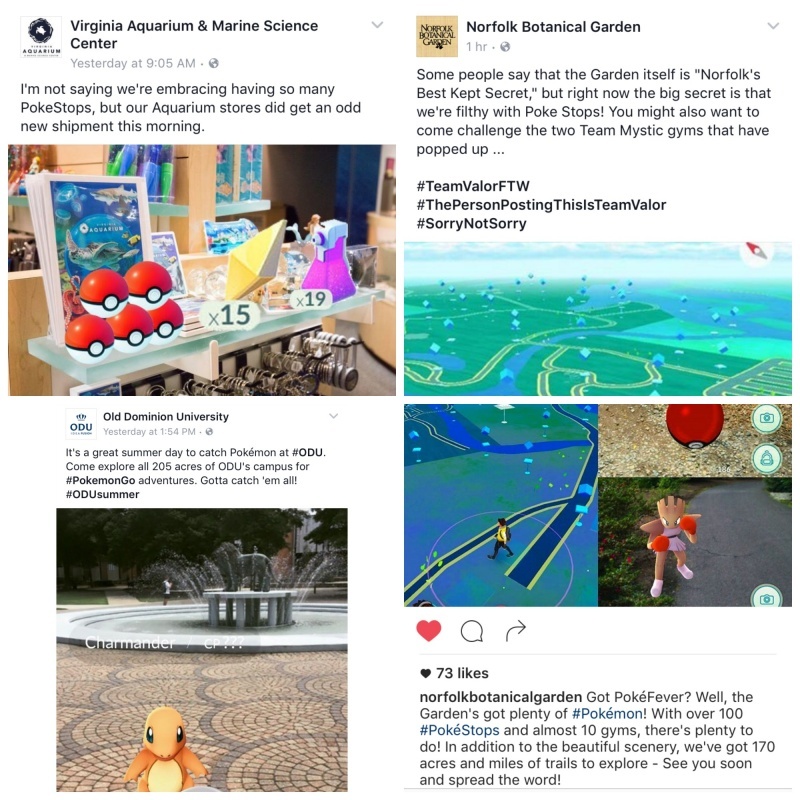 Local businesses are leveraging Pokémon GO’s massive following to attract “Trainers” to their locations. For real estate, that could be your open house. Here’s how to pull your boots on and go scouting for Pokémon in your market. Some Pokémon only live in certain places. Maybe that certain place is your open house — or at least nearby. For younger home buyers who might have taken to the game, Pokémon GO is yet another way to successfully reach out to them. Utt said this keeps it “lighthearted” and establishes early connections. “For your Pokémon GO-obsessed buyers, showing them listings in neighborhoods with great game attraction could help make the difference in a sale or seeing another listing,” she wrote. Even if it’s not your open house, Pokémon GO gets you in front of prospects. er) interaction could have much more impact than other lead forms. An open house is one place, but this could transfer to any sponsored event near a Gym — somewhere likely to see a good amount of foot traffic. To help encourage these “Training” sessions, you could host a get-together in a local park, since again, some Pokémon only live in certain places. This widespread phenomenon could give your business a strong advantage in the field when it comes to reaching younger generation home buyers. It’s a creative route to take, so if you or your team are planning to head down that path, think of other strategies you can put in to place to leverage the app and keep your business top of mind in your market. The biggest benefits from the app’s spike in usage is that people are coming together because of it. The real estate industry is still about creating and maintaining relationships with your leads, clients, and partners. This app gives you more opportunity to do just that. However, if you decide that Pokémon GO isn’t fitting into your business model, maybe just invite the team out and have fun with it. It would be a great team building exercise and another way to get to know one another, Utt said. This article was retrieved from Total Experts, July 2016 by the Total Expert Team. To see the original article, you can view it here.